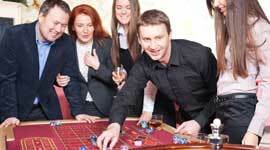 For a once-in a life time experience at a stag party, you need look no further than Exclusive Casino Hire. Whether it’s your bachelor night party or any other themed or unthemed stag party, Exclusive Casino Hire will make it a night to remember. You will be playing with fun money or make believe money at the gaming tables, so there will not be any need for special licenses or permission for the stag party. 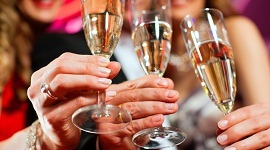 In case you don’t have access to or are otherwise experiencing any issues with arranging a venue for your stag party, our team of professionals will be glad to help you out. If you are interested in getting together the lads for a stag night with a theme, you could think about a James Bond night or a Las Vegas casino set up. If you really want the sparks to fly, you could go in for strip poker or have glam models sashaying through the venue at surprise moments. Make it a night the lads will never forget. Our croupiers will not only keep the conversation flowing but, being raconteurs par excellence, will also elevate the spirits of all present with their risqué jokes and pungent one-liners. And all of this comes with our usually excellent infrastructure and world class equipment together with with exceptional service standards, affable personnel, a problem solving attitude, and a resourceful approach. 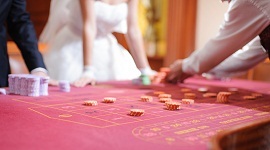 We can’t help but say that you will find dealing with us at Exclusive Casino Hire such a pleasure that you will want to return to us at the first opportunity you see on the horizon. 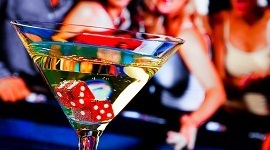 Book Exclusive Casino Hire for your Stag night by calling us directly on 07957 283 809 or e-mail us via our contact enquiry form and we will get in touch with you to understand your plans and your ideas and will help you to make them a reality. All this with inputs from our professionally qualified and experienced team who are delighted in making people smile.